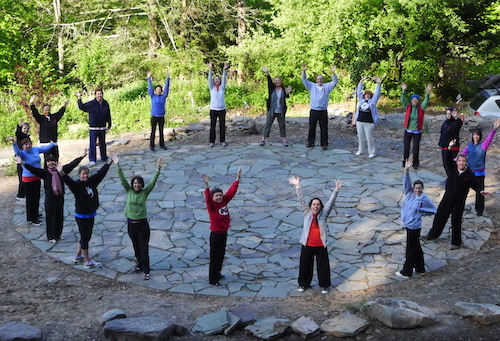 Training begins with a four-day intensive in the Catskill Mountains, New York. Learn 10 Qigong movements and begin to build your personal energy foundation. Participate in group sessions to explore the Five Element Framework. Learn how to apply Chinese medicine teachings to the human body. Accommodations and meals are included in tuition. Participate in a personalized Dragon’s Way Qigong program. Attend teleconference sessions (twice a month). Learn how to apply Chinese medicine thought to everyday health. Learn how to understand body language according to Chinese medicine. In-person sessions to further develop your energy practice. Practical experience in teaching classes. Guidelines for running your own programs. Accommodations and meals included in tuition. Run two pilot programs in your community. Continued guidance and support from instructors. Spend two days at the Garrison Institute in Garrison, New York. Grand Master Lu will interact with you to assess your energy level. 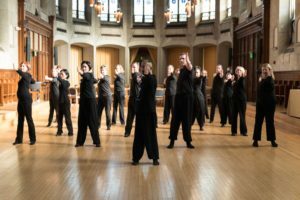 Join a group of Dragon’s Way Qigong certified instructors for networking and mentorship. Continued development of Dragon’s Way Qigong technique. Discussion and application of Dragon’s Way Qigong protocols. Certification is a milestone in a life-long journey of accessing your own healing abilities and helping others access theirs. Once certified, you will be a part of a growing community of teachers and students who continue to learn and grow through ongoing workshops and retreats. Re-certification is not mandatory at this time but yearly attendance at one TCMWF weekend workshop is highly recommended for your continued personal and professional growth. 30 PDA’s granted through NCCAOM. $3,900 is the total cost of your training and includes room and board at three-weekend intensives as well as instructional and teaching materials. Your financial gain is entirely up to you. Our goal is to share this extraordinary self-healing program through as many qualified instructors as possible. We do not ask for royalties, just that you follow the program guidelines and charge $199 for a six-week class. Basically, once you have taught 20 people, your initial investment in The Dragon’s Way certification program is recouped. Thereafter, your income depends on your passion and your desire to teach. Beyond the monetary rewards are your personal benefits. You have now become certified, which means an entire lineage of masters stands behind you ready to support your work. We interview all applicants to ensure that the Dragon’s Way Qigong path is right for you. Please download the application below. Life Coaches, psychologists, health seekers, massage therapists, doctors, nutritionists, social workers, acupuncturists, yoga instructors, reiki masters, and anyone who believes that energy and consciousness hold the secret to rediscovering health.